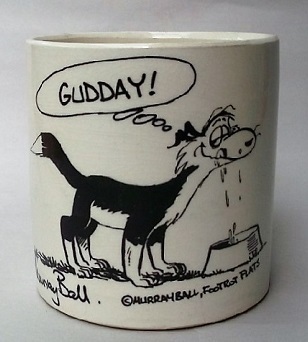 Can't see this design in gallery no backstamp but exactly the same dimensions as a Cook & Serve version that I have but in Pioneer Brown glaze and no decoration. 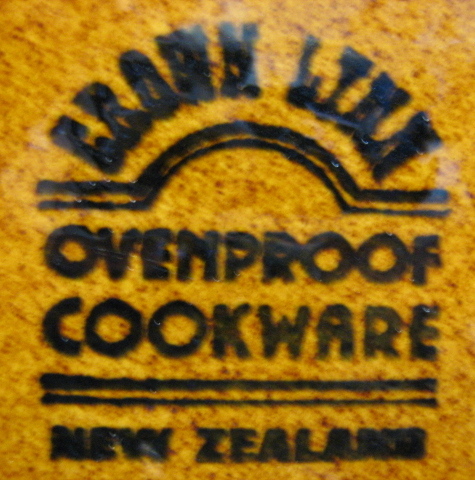 As it is also the same weight that would suggest to me that it is from the Cook & Serve range. Measures 214 x 45 mm Vegetables and herbs decoration. I have the Pioneer d17400 range in an old catalogue. It shows a Large Flan - 8637 but appears to have the fluting on the inside as well as the outside .... where as this one looks like it is only on the outside and smooth on the inside ....? Yes I agree I have one of each hut only use the smooth inside as it is easier to get the Bacon & Egg Pie out without any difficulty. Sorry Jonno,Bonne Cuisine is the name of a different pattern, I don't know the name of the vege one, it is just the style of flan that is the same in both, cheers, marl. Thanks Marl, got that I also notice that the fluted both side sample I have has a different backstamp that is not in the gallery. Here it is. Have brightened up the photo to make it easier to read but looks just like a Pioneer piece at first glance. Just want to note in this thread that gloworm suggests that this pattern is called Garden Vegetables. That pattern name isn't on the Database, so we need some confirmation please if you ever see it listed with a backstamp please alert us to it. Jonno, any chance of a photo of the fluted both sides pie dish please? It looks very similar to Cottage Garden d920 as well, from the Avondale collection. Re: Fluted Pie Dish with vegetables and herbs. Have looked out both styles and will photograph and post later today or in weekend at least. 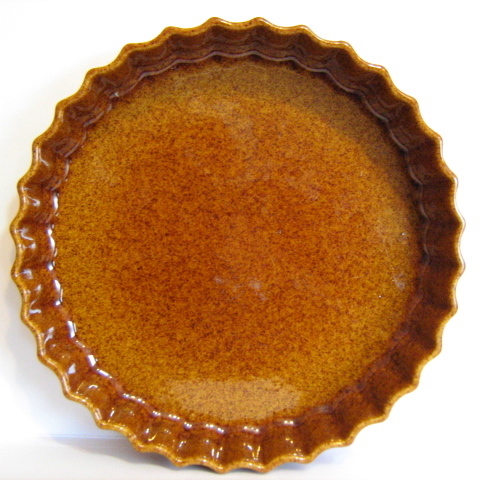 Here are the photos as promised of the two similar flan or Pie dishes that I have. 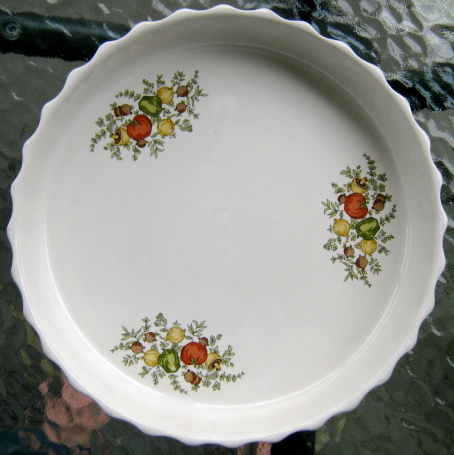 This second dish has the fluting inside and out. both same size approx. 212mm Dia X 40mm deep. Glaze is in the Pioneer brown. There are no other marks or numbers on either piece and the bases both look exactly the same except for the backstamp. 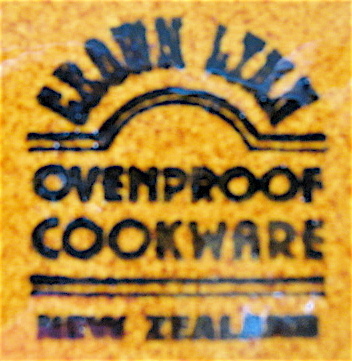 According to Monk (P.76-77) the Cook & Serve range was from 1963 and the Ovenproof Cookware from 1970 (P156). I have a handpainted coffee can Pat No 457 which is also marked as Cook & Serve. Thanks Jonno, I just went to put it into the Gallery as an 8637, as it looks the same as in the catalogue I have for Pioneer, but noticed that the fluted flan dishes all have the number of flutes to identify which is what number. I counted 32 flutes which makes your one 8636 - Medium Flan - first made in 1980. Very interesting Ev, you are amazing with the breadth of information that you can put your finger on and the 1980 date is quite revealing. I take that a 32 flute with the pattern number 8636 is just another CL thing not a typo error?. are concerned, and does the 'other' dish have another number? You have already said that the Pioneer version is 8637 in an early post on this thread, sorry have just seen. Hi Jonno, the double fluted flan with 32 flutes is the 8636.... it's in the Gallery. 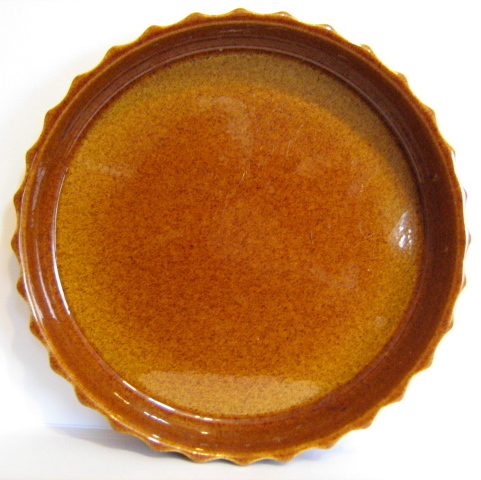 The 8637 double fluted flan dish has 30 flutes . I sure you will, both of my examples have 32 flutes the plain inner version is theoretically the earlier version circa 1963 .Could it have beenbefore the use of the 8 series to denote ram ware? Anything that was made before 1964 has three digits Jonno. After 1964 they gave everything they made a new four digit number. The 8 denotes Ram Press Ware. 80 then two numbers represent Ram Press Earthenware shapes. 86 then two numbers represent vitrified Ram Press Ware. How very appropriate on Christmas Eve to find the Spice of Life. You are a real gun at spotting these gems Ev. I believe this is 'Spice O' Life' pattern on Apollo? Or does this just confuse this? 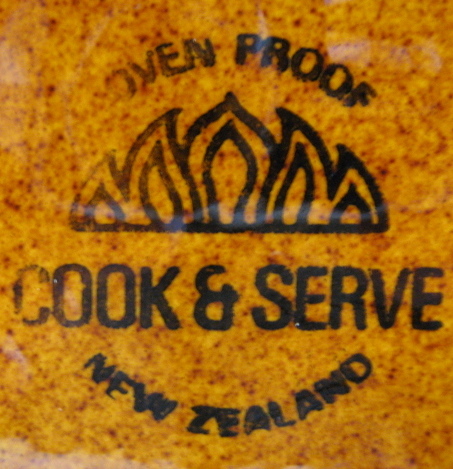 Also, the same pattern on Beehive Mixing Bowl.